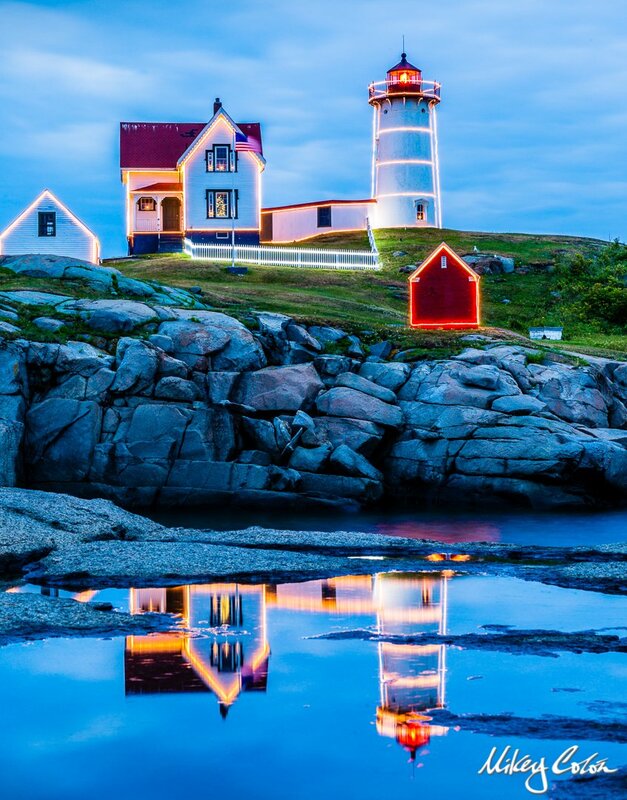 Every year in July and November the Nubble Lighthouse in York Maine puts Christmas lights on the lighthouse. In the summer the local chamber of commerce hosts a week long festival named “York Days”. And if you go on the last day (which is a Sunday) you’ll also be treated to fireworks! 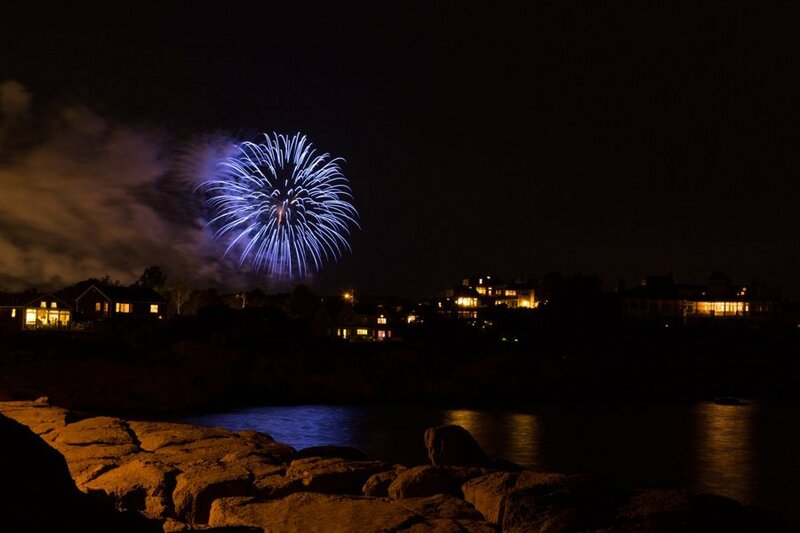 Sometimes when taking photos of fireworks, for some reason there can be too much smoke in the sky ruining the photos. I wasn’t crazy about the photos I was getting – but this was the best shot out of all of the ones I took. 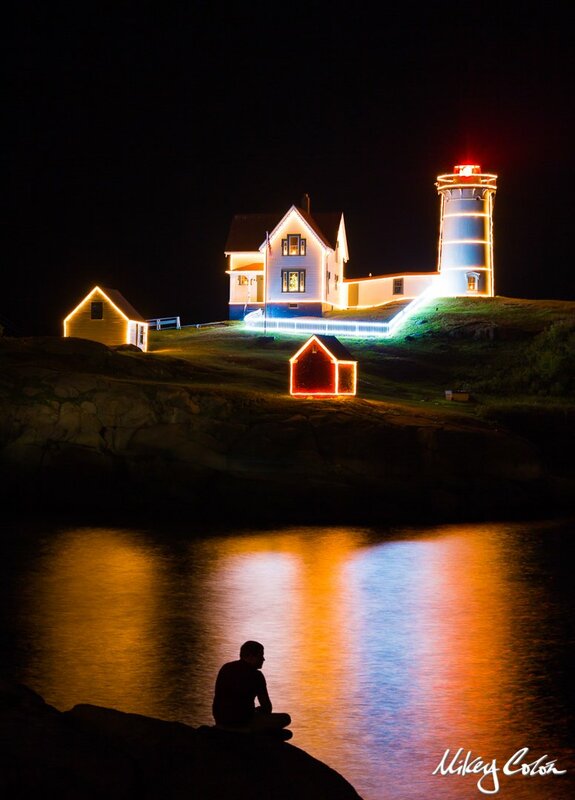 After the fireworks were over it was the perfect time to shoot the Nubble Lighthouse because it was finally pitch black / nighttime. So I headed over to the spot that I scouted earlier and I noticed there was a man sitting on the ledge of the rock. I figured I’d take a few shots to lock in my exposure and wait for him to leave. But after I took the first shot his silhouette looked amazing! Based on his body language it seemed he was stressed out. He was also sitting there for quite some time. When he started walking toward his car I introduced myself and told him I took an amazing picture of him and I think he should have it. He said “no thanks” and didn’t give me an opportunity to show him the pictures. 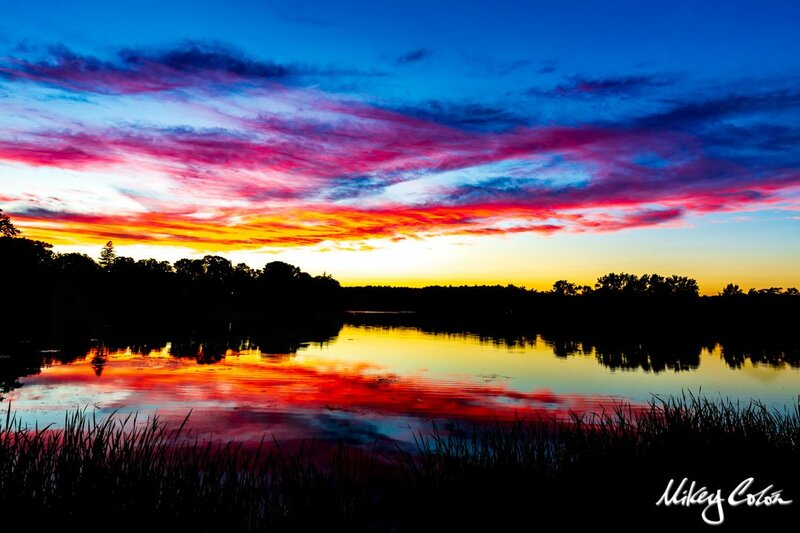 Here’s a bonus photo I took during what photographers call “blue hour”.